You’re busier than ever looking for great candidates for that important-to-fill job. So how does a staffing pro spot a great resume in just a few seconds? The expert recruiters at Orange County’s Innovative Career Resources have resume analysis down to a science. HR departments recruiting the best job candidates in Southern California know that finding that perfect resume can feel like searching for a needle in a haystack. Format: Ease of readability is important. 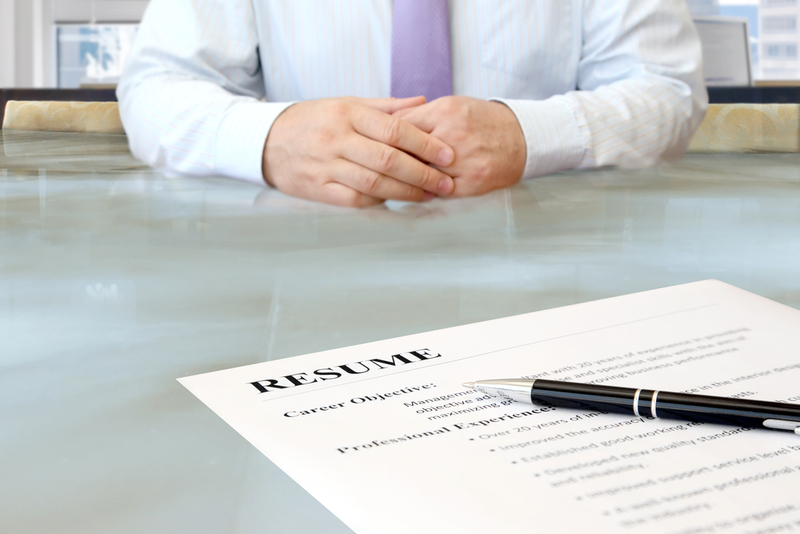 If a resume looks unprofessional – or like a novel – move on. We tell our candidates that the bullet-point is their resume’s best friend. The easier a job seeker can communicate their skills and experience, the quicker they’ll get to an interview. Also, tastefully adding a little color to a resume is nice. More than that is simply unprofessional. Look for color that enhances the important elements of the resume, such as helping you find dates or job titles. Typos: If you’re offering a high-level position and your candidate says they have a Master’s Degree, they should know how to spell check. Typos quickly show a candidate doesn’t have the best attention to detail. A resume with perfect grammar and punctuation is a keeper. Keywords: Scan for the keywords that match the job description the candidate is applying for. The more keywords that show up in their resume, the more they paid attention to matching their skills with what you’re actually looking for. This is a good indicator of a professional who wants to get the job done right the first time around – or are simply a great fit for your job offering. Relevant experience: At least 80% of the candidate’s experience should be relevant to the job you posted. Granted, this depends on their age and level of experience: New college grads might only have that student store job, and that may be okay for administrative jobs. But for seasoned professionals in careers such as accounting, science, etc, relevant experience is critical. 4-point font size: Size matters. If you have to squint to get through a resume, the applicant needs to learn to be more concise, or doesn’t think much beyond themselves. We advise our job candidates to have an impressive one-page (only!) resume, plus a more detailed version to bring with them to interviews. Cover letters: We know for a fact that fewer California HR professionals are reading generic cover letters. However, a personally written cover letter addressing your specific needs is a keeper! Most of the time, though, the resume should speak for itself. Email address: One of the first things our recruiters check is whether a candidate has a professional email address. The moment we see something like ineedajobrealbad@something.com, we have our job applicants get a better address. Resumes from your recruiter: The easiest and quickest way to spot a great resume is to hire a professional staffing agency to sift through the pool of applicants for you, and to only give you the best resumes. While this might seem like cheating, it’s what a job agency does. The right recruiting and staffing company will prequalify all candidates before they are presented to you, relieving you of having to look at yet another poorly-written resume. Innovative Career Resources has over 25 years of experience qualifying resumes for Science, Engineering and Professional Services (such as Accounting) jobs. Our skilled recruiters provide Fortune 500 companies throughout Orange County, Los Angeles, and Riverside with the professional recruiting and staffing services needed to hire the best talent. Contact Us today to take your staffing to the next level.